The Standard Life Investments Heritage With Profits Fund will welcome Volution Ventilation Group, Aldi and a Costa Coffee drive-through to Suttons Business Park, Reading. All three have signed deals to occupy units at the mixed-use park following extensive redevelopment of its gateway section. Volution, a leading supplier of ventilation products, will take a new 80,000 sq ft unit on a 15-year lease upon completion in November 2017. A new Aldi store will comprise an 18,740 sq ft unit, which has been let on a 20-year lease to the food retailer. The new Costa Coffee unit is 1,800 sq ft and let on a 15-year lease. Suttons Business Park provides a variety of urban logistics, warehouse and light industrial space set over 21 hectares. It is situated minutes from the business centre of Reading, between the main London to Reading railway line adjacent to the A329M and two miles from junction 10 of the M4. 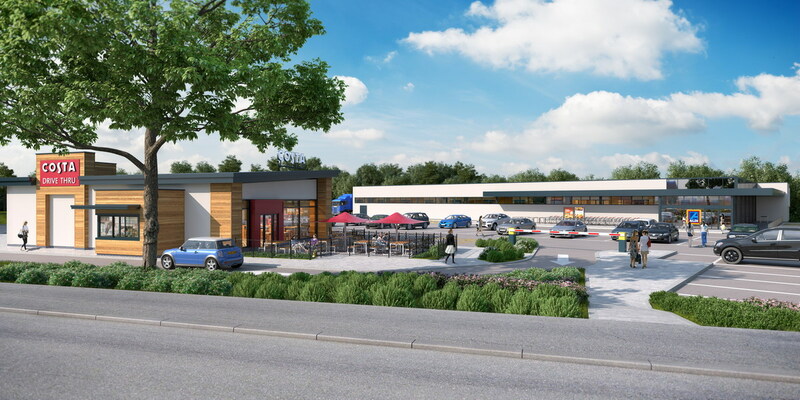 Alongside additional car parking and landscaping, the park entrance redevelopment will provide excellent amenities for the park and local residents, complementing existing supermarkets and independent retailers in the area. In addition, a 14,000 sq ft light industrial or warehouse unit will be speculatively developed on the site adjacent to the Aldi store. Haslams and Savills represented Standard Life Investments. PKT Strategy represented Aldi, Savills acted for Costa Coffee and Colliers acted for Volution Ventilation Group.